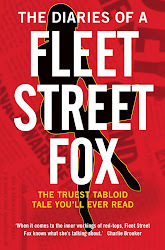 fleet street fox: Emergency (n.): Requiring immediate action. THE possibility, however small, of nuclear war in North Korea. The fact our few remaining forces in Afghanistan are using mortar shells manufactured in 1981 which are so far past their best-before date we're killing our own troops. A Unicef report showing Coalition cuts will push 400,000 children into poverty and they are more likely to drink, get pregnant, and drop out of school. Even the fact an elected Police and Crime Commissioner has been stupid and heartless enough to thrust a 17-year-old into the scrutiny of public office; that there is someone scared to eat anything but noodles; and that British women are apparently miserable for the first 39 years of their lives. All of these things count as an 'emergency'. An emergency, you see, is something - often, but not always, unexpected - which demands we do something. Nuclear war? We probably ought to keep an eye on the missile silos. Out of date weapons? We should do a stocktake. Children in poverty, PCCs piggybacking on teenagers, noodlephobia and people who are unhappy - all things which need sorting. You could even say that the decision by former HBOS chief executive Sir James Crosby to hand back his knighthood and return a third of his pension in the wake of criticism for his part in the banking collapse is an emergency, because it means we should wonder a) if it's worth prosecuting him b) if it's worth suing him c) why other head bankers haven't done the same. That's just a handful of the emergencies facing us today. On top of those we have a million refugees in Syria, fascists in Greece, fundamentalists across north Africa, £1trillion debt, austerity, a possible triple-dip recession, and the introduction of welfare reforms which however you look at them are going to make poor and vulnerable people only poorer and more vulnerable. It's like a great big emergency meat pie, with an emergency gravy and emergency veg covered with emergency pastry and baked at PANIC for six hours before serving with a scream. They are, you might think, the kind of situations which would necessitate the leaders of our nation putting their heads together to find some solutions. Holding meetings. Making phone calls. Pulling the occasional all-nighter, even, if they can do it with their trousers on and Hugh Grant isn't sat in the next room telling them what to say. Yet the leaders of our nation do not think any of those things constitute an 'emergency'. That's probably why they took a three week break over Easter when everyone else gets two at best and just a couple of bank holidays for most of us. But let's try to see things from their point of view; it is likely that, when running a country, there are similar problems so often that you become inured to them. "Michael McIntyre kicking off again? Oh, just ignore him, he'll go away." So when our politicians decide things are an emergency, they are generally very serious indeed. For example, the last time Parliament was recalled was August 2011 when rioters had set three cities ablaze. A month before that they were recalled to hear the Prime Minister order the Leveson Inquiry, and in 2002 to debate the now-infamous Dodgy Dossier on Iraq's weapons of mass destruction which led, shortly after, to war. Parliament has been recalled to cobble together a statement on the death of the Queen Mother, to debate the Omagh bombing, to decry 9/11 and announce missile strikes on Afghanistan. Parliamentary recalls are generally for what you might call national emergencies. Debates on war, crises, and special tributes to mark widespread public grief. Today Parliament has been recalled to discuss the death of Margaret Thatcher. Nor is it a crisis, a worry, a quandary or even a bit of a pinch. It does not require much in the way of immediate action, certainly not by those outside her family, and especially as she'd planned her own (very expensive) funeral several years ago. Nor is it widespread grief: just widespread argument. The death of Margaret Thatcher is what people with a proper grasp of the English language and a sense of proportion would call 'an event'. Whether you thought her a heroine or a harridan, her death is a thing that has happened and that's about it; qualify it according to your own views, by all means, but it is no particular cause for panic in quite the same way as riots or planes falling out of the sky. Well, unless you are midway through a Parliamentary term with both government and opposition equally disliked, beset on all sides by PR disasters, blaming child murders on claiming benefits, having millionaires urging others to live on £53 a week, taking three week holidays while the country's on its arse and facing the very real prospect in a couple of years that even fewer people are going to vote for any of them than could barely be bothered last time. In that situation, some guaranteed telly time either eulogising or castigating her in speeches and soundbites frenziedly written and practiced on the plane home is an absolute gift. The fact it's going to cost taxpayers a small fortune to reopen Parliament to allow it to happen is neither here nor there. The fact each MP who attends could claim up to £3,750 for the disruption to their holidays matters not a jot. The fact half the nation's livid her funeral has a projected cost of £10m and a blind man could see it will descend into violence is not worth worrying about. The fact they've decided it's not an 'emergency debate' but merely an opportunity to pay 'special tribute' to a former Prime Minister also doesn't matter. Never mind this lot have already paid their tributes and made public statements to national, local and worldwide media. Never mind the cost, or the silliness, or the fruitlessness of doing so again to each other. Maggie was inspiring when she was in power - she inspired people to follow her, and she inspired people to hate her. And ever since she resigned she's inspired them to ape her and piggyback on her achievements for their own political gain. 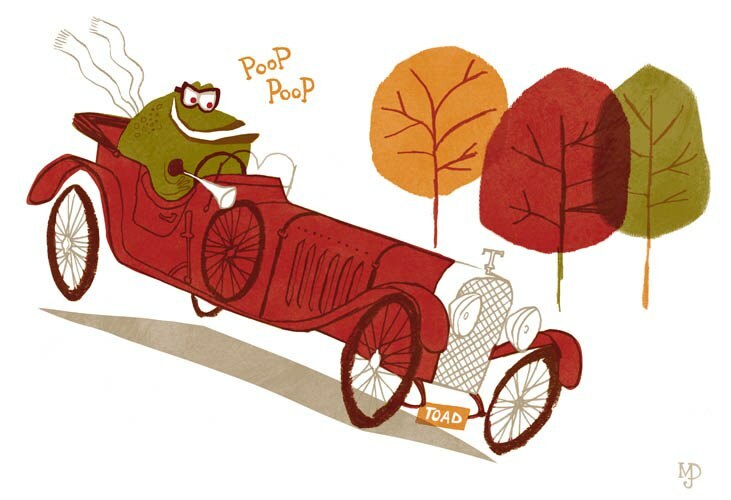 Now she's dead, and the smooth-faced toads of Westminster can think of nothing better to do with their time than posture and ribbit on the publicly-funded Maggie bandwagon, preening and puffing up their throat sacs as they compete to be the top soundbite on the 10 O'Clock News. I know they'd do that anyway - it seems to be something we can't stop, not unless we can attract them into the middle of a motorway at 9am with the promise of some lady toads - but it does seem rather farcical when Parliament was due back on Monday and they could do all the preening without charging us extra for it. What it really shows is that the true emergency here is our country is being run by people who, as a group, appear to have no clear idea of the public mood. If they did, they'd have spotted a massive public funeral for such a divisive figure is a recipe for riot, that the expense amid financially tough times sticks in the throat, and that having the brass neck to get us to pay for their self-promotion is merely going to make us hate them more. If they are so politically inept as to do any of those things in the first place, it makes you wonder what else they're screwing up we haven't noticed yet. Prime Ministers generally don't get public funerals, special debates, or Parliamentary recalls for very good reason. It's because they're politicians, and however towering they may have been in life there is always plenty more where they came from.